Identify the right employee advocates to get the most out of your Employee Advocacy programme. Great employee advocates are assets in your organisation. That’s why identifying the right employees to talk about your brand online is one of the important steps in any social media advocacy programme. Social media advocacy has become a key mechanism in B2B marketing. Allowing employees to promote your brand, products and services could significantly grow your brand reach, shorten your sales cycle and improve employee engagement. Employee Advocates, where are you? We advise you keep the survey anonymous, identifying respondents by department/level, e.g. sales, customer service or team leader, manager etc. and by office location for instance. You can create your own questions or use existing ones. Employees who already have a strong presence on social media could be highly valuable to your advocacy programme. Such employees are probably well respected by their peers, and regularly engage online in a professional way. Moreover, they are likely to be not just content sharers but also content creators. This is a highly valuable characteristic as research has shown only 1% of social media users will fall into this category. When it comes to social media, you can assume that employees in marketing, sales and perhaps customer support services will have more of an interest in getting involved. It might therefore make sense to engage these departments as advocates, at least to get the programme started. Depending on your industry, employee advocates in technical functions might be extremely valuable to engage. But don’t worry if technical employees e.g. engineers aren’t keen. There are several ways employees can get involved in social media e.g. “listening” in on online customer conversations and finding solutions to their challenges. The minimum requirement for employee advocates is that they are social media users. Trying to convince employees to get on social media, solely for the purpose of becoming advocates is unlikely to work. But not any social media user will do. Ensure that the employees have appropriate guidelines and training for how you want them to conduct themselves on social media. Also, consider focusing on one platform at a time e.g. LinkedIn or Twitter, providing not just education around social media policies but education on the idiosyncrasies of each platform. 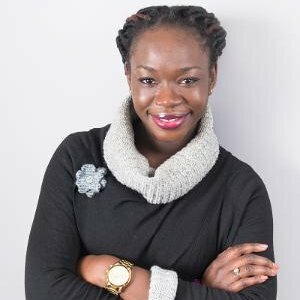 Yekemi Otaru is managing director of YO! Marketing which is a marketing and strategy consultancy working at the interaction between business strategy, digital and marketing strategy. They work mainly in the B2B advanced manufacturing and engineering sectors. She is also the author of The Smart Sceptic's Guide to Social Media in Organisations. Connect with her on Twitter @yomarketingco.